I looked into my crystal ball this morning and saw snow falling on a cute little village. 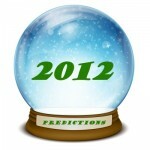 Okay, well, it’s a snowglobe, which means I can make some controversial predictions for 2012 and blame it on the tool if I’m wrong. Happy New Year from all of us at DemandGen! I like your predictions: some of them are spot on, way off, and don’t apply. – Facebook usage will start to decline as people lose interest in ”putting it out there” — This was 2011 and maybe even 2010. Late on this one. – Cloud computing will become the fastest growing segment of the information age and technology firms will set corporate priorities to move applications and products into the Cloud — For sure! – The stock market will rise and fall, but essentially remain flat over the year. — I’ve always been a believer in the semi-strong form of the Efficient Market Hypothesis and unquestionably the market will have it’s up and downs. I won’t be putting it all in the mattress yet. – The housing market will not rebound, as too much inventory will drive prices further down 5-8% across the country. Bonus: Mortgage rates will stay around 4.x% — Smart man. – Business-to-Individual (B2I) marketing will be the new mantra of marketing to focus on the importance of one-to-one messaging. — This might be the most brilliant thing I’ve read all year. 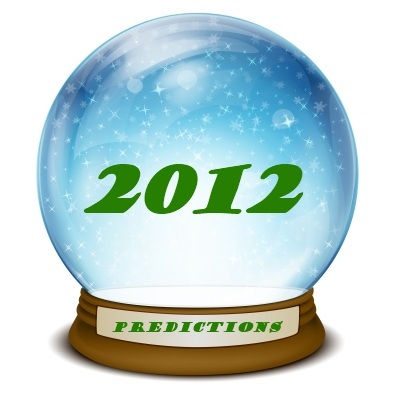 – No Marketing Automation vendor will go public, but consolidation and acquisitions will occur — Is that a 2013 prediction? – The Mayan calendar will be proved inaccurate for protecting the end of the world — if not, we should be partying NOW! – Salesforce.com will get acquired (best guess: Microsoft) — Benioff is the man though! – Apple will release a new iPhone, a new iPad, a new iTouch, and a new iPod (okay, I needed one sure bet) — Money ball! – A flying car will be available for purchase for around $200,000 — I like your wishful thinking. – Microsoft will announce a new Xbox — hopefully.